Winters are the best time to relax and enjoy the cozy feeling under those warm sweaters. 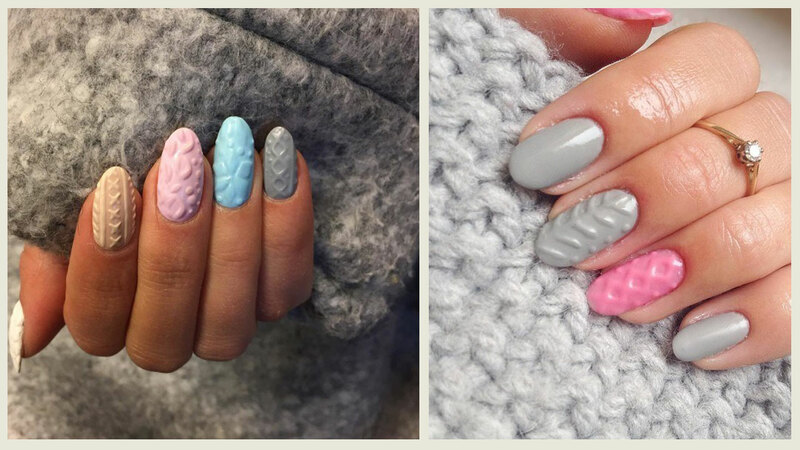 Imagine matching your nail art pattern with your favorite sweater this season. This is possible with the cable knit nails that are the latest trend that will help you experience the joy of bundling up in the warm knit. This latest nail trends mimics the cable knit nails texture of your favorite cozy sweater. It doubles up as an extra warm wear for the season. This new sweater nails trends provides a comforting feeling when the weather outside is chilly. 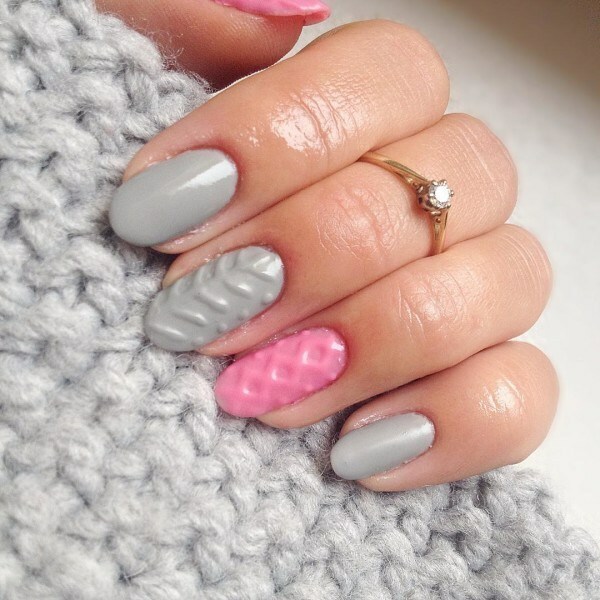 Sweater nails are a must for the winters and are the latest trendsetters that have taken the fashion world by storm. This January nail art is popular because you can experiment with the various patterns and colors. You can even highlight the design by making it extremely eye-catching by using 3D gel polish. Many people who have tried this new nail trends have initially used the texture on one nail per hand to highlight the new design and to distract the eye with a difference of color. One can even experiment with gel polish and then use a nail art pen to draw outlines or dots. In some countries like Japan, people follow the latest nail trends and are ready to try out the latest fashion trends. This is a manicure technique that has got its inspiration from the chunky cable knit sweaters. The cable knit nails is a great trend for those with deft hands and polishing skills. Gel polish can be messy, particularly if it is to be applied onto your own hands and it would be better if you could get a help from your friend or relative to be able to create such an accurate pattern. You need to have a steady hand to achieve this pattern. You can make this a great opportunity to hang out with your friends and relatives. Take it as an opportunity to enjoy the evening and also aim to get some fabulous January nail art done. 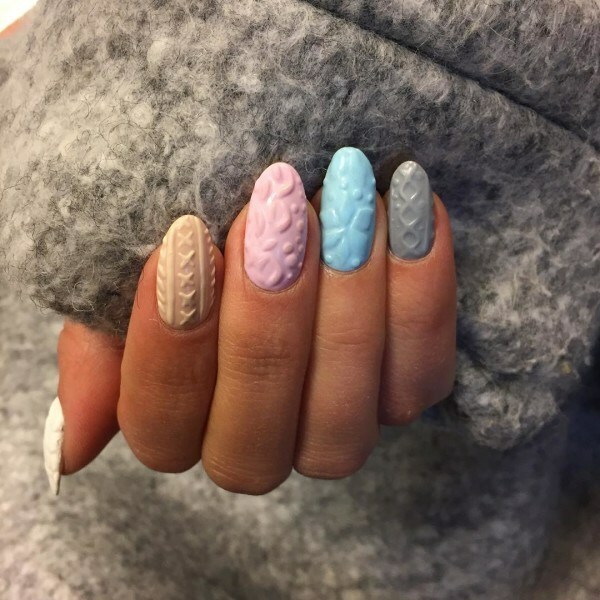 All the more better if you know someone with an expertise in sweater nail art; plan a day out with your friends and visit a good nail art saloon to get this new nail trends done. At the end of the day you will have a wonderful time and have cable knit nails that will remind you of the weekend fun. Women of all age group are seen ditching the normal nail art designs and switching over to the warmer designs brought by the sweater nails. 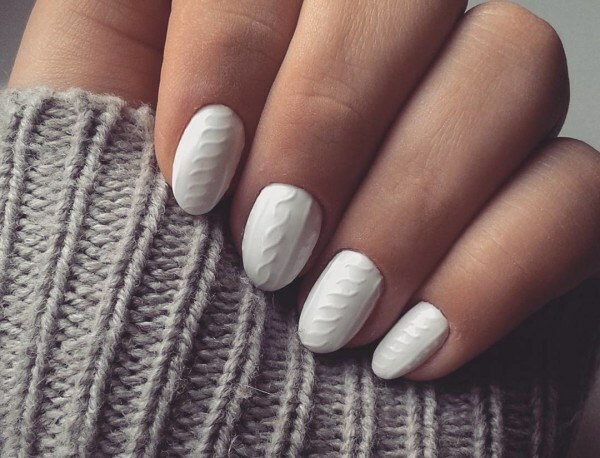 Known as the sweater nails, the cable knit nails are a trend this year and we all agree to this. These chunky new nail trends are easy to create using just a gel polish, and a dotting tool to create the final chunky design. These are simple nail art patterns, which can be done on your own, if you have a good steady hand. If not, simply get a professional help. 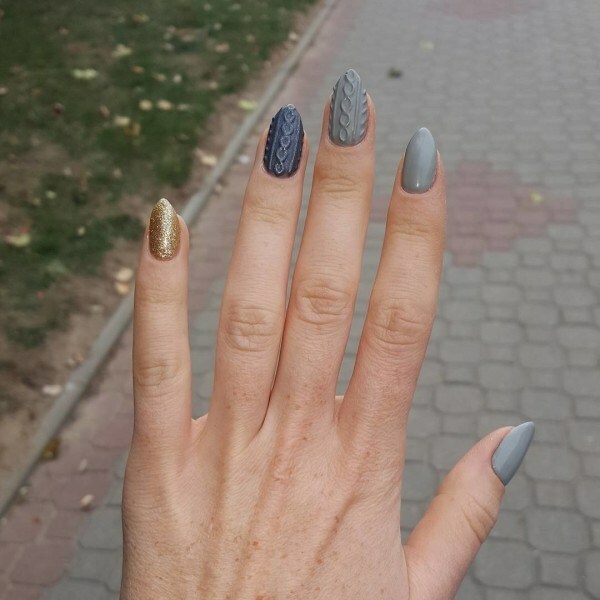 The internet is full of different January nail art patterns, which you can choose from. You can even alternate designs and patterns according to your liking. To get a good enhanced effect it would be better to use a 3D gel that is slightly thicker than the regular polish. Even though they look pretty simple, the sweater nails can be challenging for the designer, but the final result will look like your nails wearing tiny little sweaters. The cable knit nails are great conversation starters and the newest fashion trend heating up for the coming holiday season. It works great for all the holiday parties that you are planning to attend with friends and family. The cable knit nails is a new trend to keep your finger nails warm this season. It is a good way to take your sweater addiction to the next level with the January nail art. The possibilities for the cable knit nail are just endless. If you want to try this cable knit nails trends, see the video below.